So, another trip across the pond under my belt as I have just came back from a road trip on the west coast. In fact it was actually a bit more than just the coast. We started our journey in fabulous San Francisco but we made our way all the way to Grand Canyon, Monument Valley, even the Four Corners, before heading back via central Arizona to LA and along the coast to San Fran. We’ve seen great sights (some well known, some less so), stayed in some funky as well as dingy places, rented a cool car (partially by luck) and drove over 3300 miles. 3314 to be precise as the total is printed on my car rental receipt. It was that precise number which started me thinking: what distance have I travelled in the US so far? Luckily, being organized and pedantic (just a bit) as well as geeky (a lot) I actually kept most of my old receipts. In fact I had them for all of my trips bar two or three of the oldest adventures. 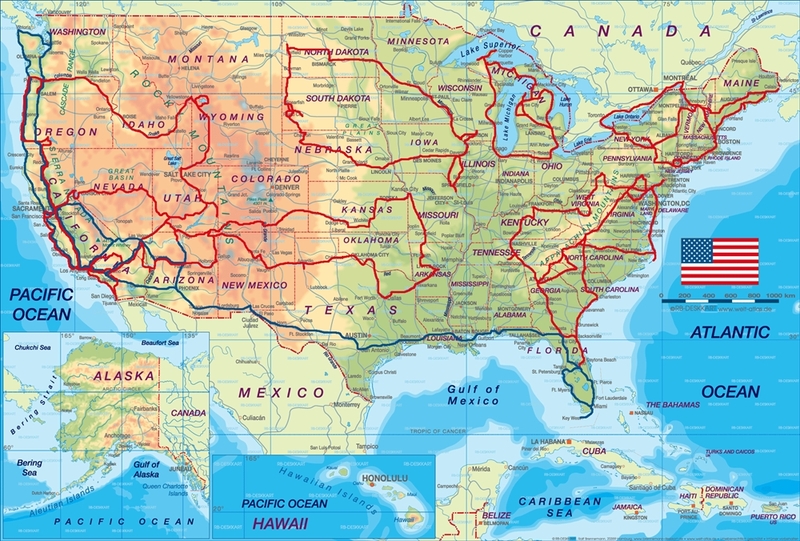 For those ancient trips I made some back of the envelope calculations (actually more of the Google maps and excel spreadsheet calculations) so I could estimate the total distance that I have covered in the US since 2007. After spending some time pouring through the paperwork as well as recreating old routes on a computer screen I came to a figure of over 46000km (almost 29000 miles). I have to say that I was surprised as this is actually much more than earth’s circumference. I definitely wasn’t expecting that. Looking at this map I started thinking what if I add my older trips. When I was still studying in Poland I twice made my way to America under the Work&Travel Scheme. Both times after my summer jobs were over I had travelled with my friends across the US, once from east to west (and back) and once from south to north (and back again). I couldn’t drive back then (didn’t have a driving licence yet) but I was largely responsible for navigation and some logistics. Those were great long distance trips. Due to passage of time it was more difficult to recreate these trips than the more recent ones. For a few reasons. First, my memory was never too good, second, back then none of us had digital camera so we have relatively few pictures, most of them from the major attractions like New Orleans or Grand Canyon. No silly shots of highways or road signs which are really helpful when recreating an exact route. Still, I can be a persistent beast and after a while I was able to recreate those two trips fairly accurately. There might be some discrepancies but they shouldn’t be major and affect the overall figure of about 15000km (10k and 5k respectively). That gives a grand total of around 62000km or 38000 miles which I have travelled in the US so far. Again I allowed myself to produce a simple map. As you can see there are still gaps in my coverage which means I have plenty of driving left to do in the States (and plenty to still write about), so I’m sure I’ll be able to add to my mileage, hopefully soon. But before that happens I have to describe my recent trip so expect some new posts soon on this blog. This entry was posted in Uncategorized and tagged america, mileage, road trip, usa on October 28, 2013 by admin. For me one of the biggest attractions in the US are the roads themselves. I have to admit I love driving so my opinion might be a bit biased, but it’s difficult to deny that highways and car culture in general, are important parts of American culture. 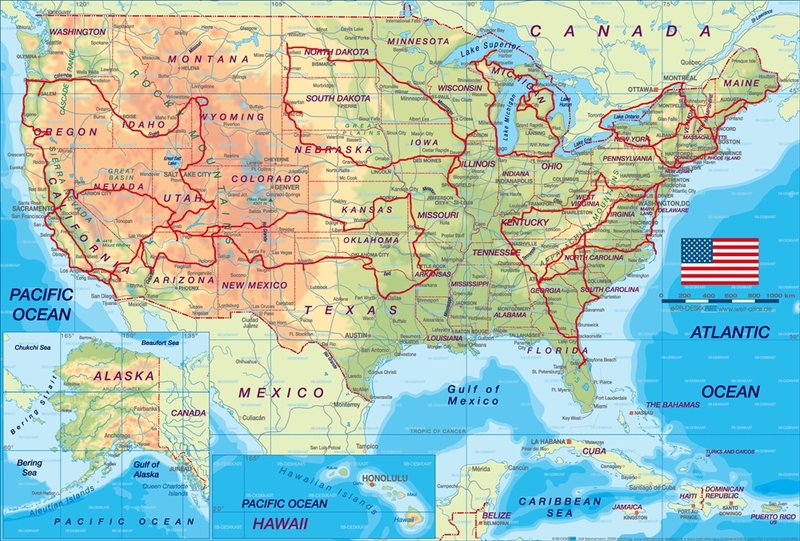 Many countries have great roads, be it smooth German autobahns without speed limits or the narrow, twisted mountain roads of Italy, but no other country is as connected to its roads and cars as the USA. Before my first visit to America I already had an image of its freeways, highways, pickup trucks etc. They are shown in countless movies, TV dramas and even comic books, it is virtually impossible nowadays to grow up in any modern country without being familiar with those aspects of America and its pop-culture. I still remember my first visit to America, when after landing in Miami, we were driven to Orlando (where we were about to start work in Disney World). During one of the short stops at the service station most of the guys from our bus started taking pictures in front of those massive American eighteen wheelers. Such is power of an icon. During my first road trip in the USA I was only a passenger because I still didn’t have a driving licence. Those were two iconic trips, one from coast to coast, another one along the Pacific coast. 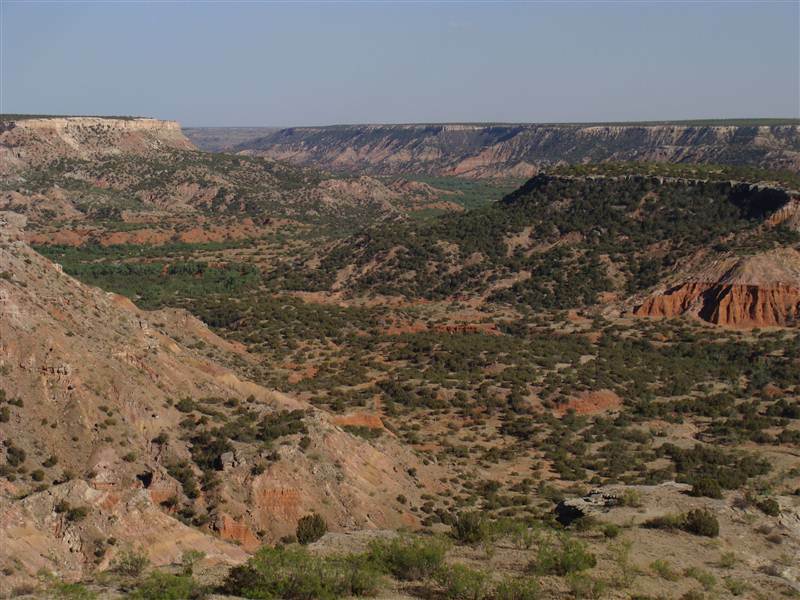 Being both a geographer and map enthusiast I was responsible for navigation and a lot of the planning, and I loved every moment of it (even long featureless drives of west Texas). Only long drive across the entire country will help you understand how big it really is. Still, being a navigator is not the same as driving yourself. After coming back from my second trip during which we drove, among others, the famous Pacific Highway, I knew I’d be back in the USA. This time armed with a driving licence. 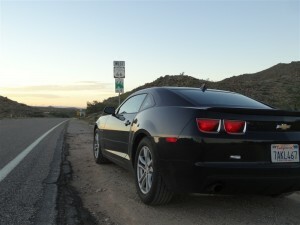 The desire to drive myself was probably important factor why I decided to visit America again. 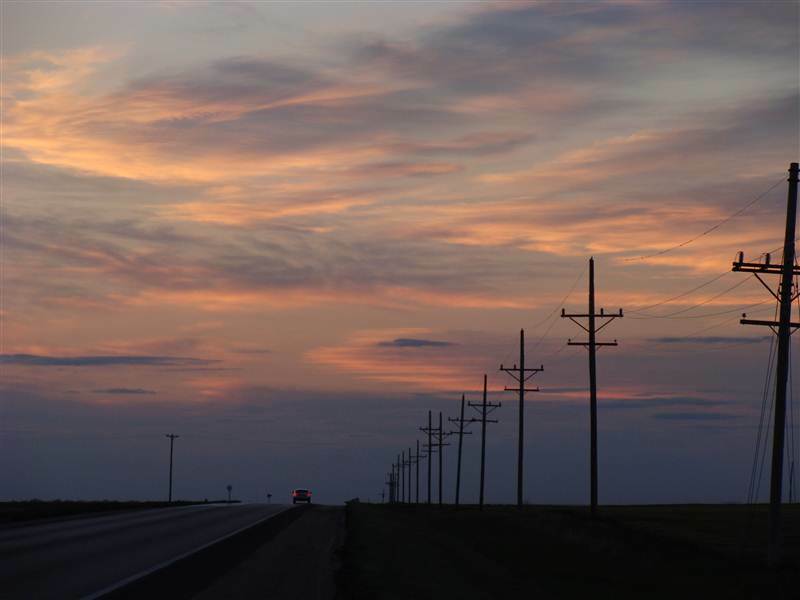 Since then, during many visits, I have driven thousands of miles along the interstate, state and county highways as well as special scenic byways. And I absolutely love it, every single mile of road. It doesn’t matter if it’s busy 12 lane urban freeway in LA, or empty, straight highway in western Kansas, or a twisted mountain road in Utah. They are all attractive in their own way. There are some roads especially worth recommending. One of them, the Pacific Hwy, is in my opinion one of the most scenic drives on earth. 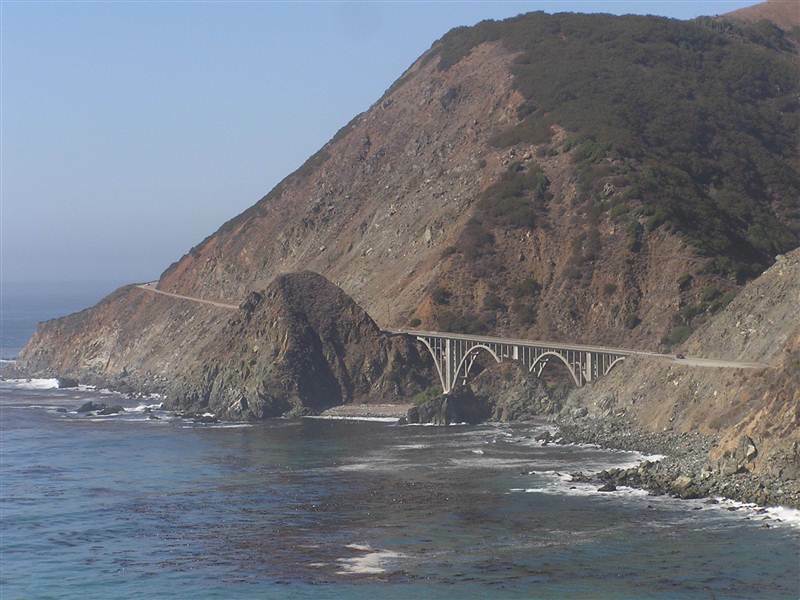 Most people know about the stretch from San Louis Obispo along the famous Big Sur up to Monterey. It is spectacular California Hwy 1 where every twist and turn opens an amazing vista. If you can choose only one road in America make sure you choose this one. Pacific Highway is much longer however, continuing north of San Francisco through sparsely populated North California and then along the Oregon and Washington State coast. It might be a bit less wild than at Big Sur, but only a bit. On the other hand there are nice charming villages and small towns well worth visiting. Add lighthouses, sand dunes, wild beaches, huge forests and you get the picture. It is one of the roads I could drive over and over, and over again. We shouldn’t also forget about one short, but well known, part of the Pacific Hwy, the Golden Gate Bridge, which is probably one of the most photographed structures on earth. My long lasting irrational obsession with the idea of crossing it was an important factor in planning our coast to coast trip. On the other side of the eastern US there is in some ways a similar road. It’s US Hwy 2 from Vermont across the Lake Champlain to the New York State. Connecting small communities on the remote islands of North Hero and Grand Isle it has feel of a quiet end of the road as well as the end of the world. Drive it slowly, shop in some locally owned stores, try food in some no nonsense, down to earth, local restaurants and you will understand the appeal of this route. Away from the sea or lakes there are many interesting desert highways, especially in the south western United States. One of them is Utah Hwy 12 which is almost like driving in a giant open geology schoolbook as this unique road passes through some really spectacular formations. Connecting Bryce Canyon NP with Grant Staircase-Escalante National Monument and Capitol Reef NP, it is every geographers’ and geologists’ dream road, where every turn opens spectacular view of geological wonders. It is also relatively little trafficked especially outside the main summer season. 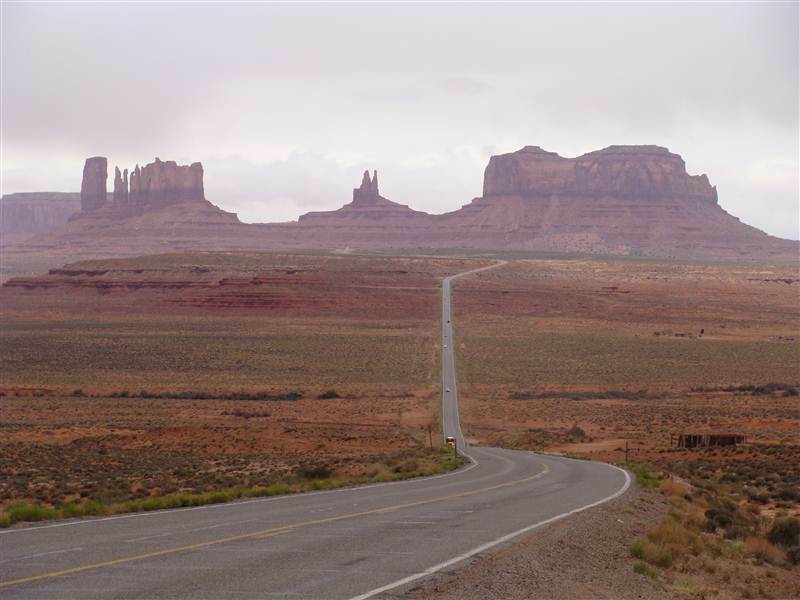 Equally spectacular and much more popular is US Hwy 163 from Mexican Hat in Utah to Kayenta in Arizona. It is famous due to the spectacular vista over the rock formations of Monument Valley known to most of us from the epic western movies. Apart from some bored locals almost every car pulls over and everyone takes pictures. Yet another example of power of an American icon. Another spectacular desert drive in the SW states include California Hwy 190 across the Death Valley and then US 395 along the eastern foothills of the magnificent Sierra Neveda. It is actually impossible to list all the spectacular desert routes here as most of the highways in Arizona, southern Utah, New Mexico, souther California or Nevada are simply fantastic. Looking for something more on the mountainous side? One of the best mountain roads I have ever driven was not in Rockies or the Sierra Nevada, not even in the Appalachians, but in South Dakota. Yes, that’s correct. There are mountains in Southa Dakota even if they are called hills.The Black Hills to be precise. 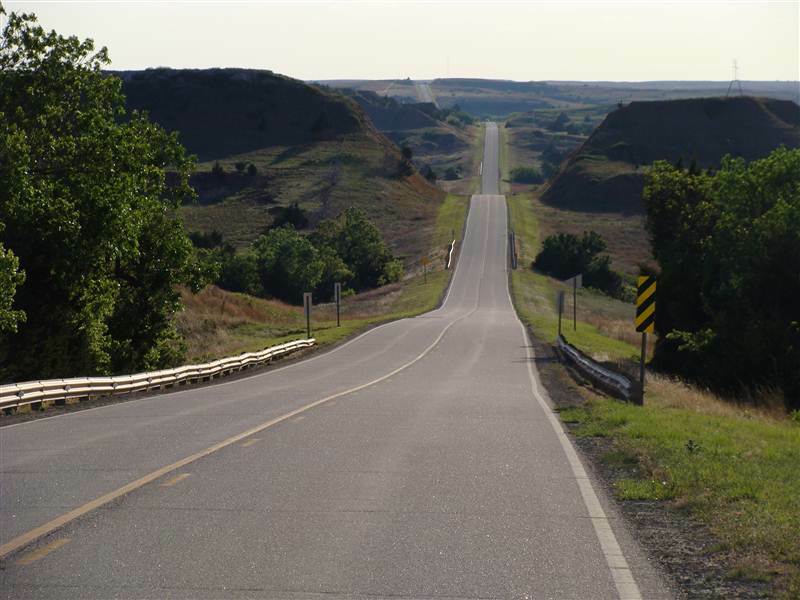 The road we are talking about is the Peter Norbeck Scenic Byway. It is loop, over 68 miles long, which follows four different local highways. This road is curvy and narrow, actually very curvy and very narrow. In some places it is just ribbon of tarmac, only wide enough for one car, squeezed between the rock walls and sheer drop on the other side. There are tunnels so narrow you have to honk before entering, so you won’t have a head on collision with some oversized pick-up truck, and pigtail bridges where you make full 360 degrees circles. In general this scenic byway is more like Spanish or Italian mountain roads than an American highway. Some of the mountain roads were built just for the pleasure of driving. One of them is the Blue Ridge Parkway in Virginia and North Carolina. Its construction started in 1935 during the great depression and didn’t finish until 1987 when the spectacular s-shaped Linn Cove Viaduct was opened The 469 miles long parkway is maintained by the National Park Service and runs mostly along the Blue Ridge, part of the Appalachian Mountains. The parkway doesn’t connect any settlements, uses short side roads to connect to other highways, and there are no direct interchanges with other highways. It was design to be a spectacular drive, with numerous viewpoints, often running as close to the ridge as possible and I can confirm that its designers did a good job. It is a fantastic piece of highway, well worth getting out of the main roads. Other spectacular mountain roads include California Hwy 180 leading into the Kings Canyon – Sequoia NP, US Hwy160 from Alamosa to Cortez in Colorado or finally California Hwy 120 and 41 in the amazing Yosemite. If you don’t really like deserts or mountains there are some other interesting drives. How about the great American rivers? One of the best trips I’ve done was driving through the Columbia River Gorge in Oregon. It is a great drive, especially if you leave the main intestate freeway and choose the old road instead. It’s not always possible but there are few preserved bits which offer spectacular vistas over the great Columbia River and some nice waterfalls as well. You can cover the most interesting part of this river in a day. But if you are looking for a more epic river drive there is no better option than the Great River Road along the mighty Mississippi. It is actually system of the US, state, and even county highways running as close to the river as possible. You can drive practically from the source to the Gulf of Mexico on either side of the river. Of course there are more and less interesting parts. My favourite part stretches from Davenport in Iowa to Minneapolis in Minnesota, especially the Wisconsin Hwy 35 from the Illinois border to the town of Prescott just few miles downriver from Saint Paul. Mississippi in this region flows between high bluffs offering some really great views. Other attractions along this route are tiny towns like De Soto, Genoa, Alma and Nelson or some slightly bigger ones like Winona or Red Wing. Being a road and infrastructure geek I also love all the bridges along the great river, especially the old narrow steel ones. Sometimes I crossed them back and forth just for the thrill of driving across them. A lesser known river offering great roads along its banks is the St Lawrence River. The most interesting part of it stretches along the Canadian – US border from Cornwall to Kingston, which is called the Thousand Islands for a good reason. From the road you can see countless islands from big to tiny ones. Some of them are big enough for a castle (well, at least a replica of one) some are big enough for a house but on some, it is only possible to fit small hut or a birdhouse. I drove the scenic byway on the Canadian side of river but I’m sure the New York State side is interesting as well. But even if roads are not marked as scenic byways some of them are simple a joy to drive. I love the empty state and US highways cutting across the prairies of Dakotas and Nebraska or the farmlands of Kansas and Oklahoma. 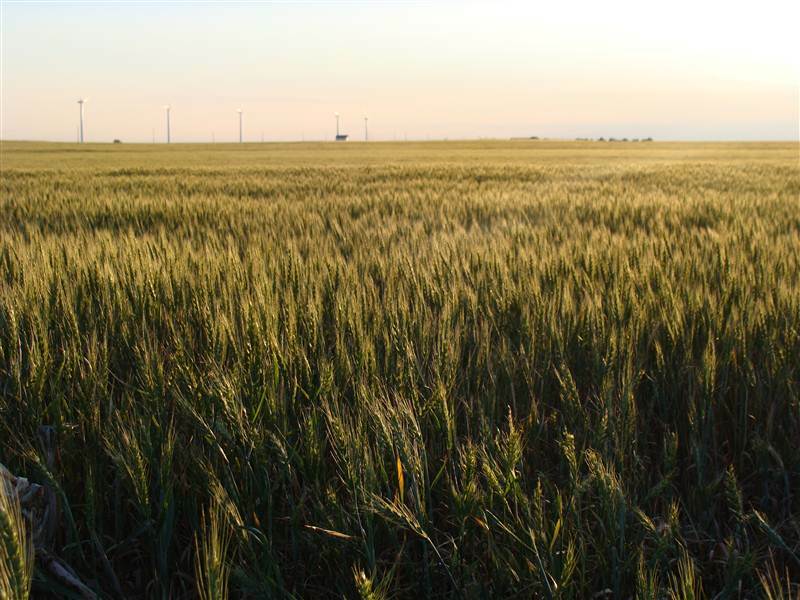 They are straight, usually smooth, with views stretching all the way to the distant horizon and the big sky above. And the lack of trees in those regions makes the horizon even further away and the sky even bigger. Great examples of such roads are US Hwy 189 in Wyoming, from Evanston towards the Jackson Hole or US Hwy 85 connecting North and South Dakota. With country music radio station turned on I can drive for hours, or even days, without getting anywhere in particular. I like it so much that probably half of my pictures taken in USA have roads or roads signs on them. Why roads signs? I guess because they are as iconic as roads and places themselves. Imagine signs standing in the middle of nowhere and showing distances and directions to places like Death Valley, Dodge City or Deadwood. On one hand American highways are simple and logically marked, on the other hand you have to remember that apart from the federal system each state has its own highways with distinctive road numbers and road signs. I love those varied state highways shields. In Utah there is image of beehive, in Washington State, the profile of the head of George Washington, in North Dakota there is head of Native American. And those are only few examples. Compared with that, European road signs are deadly boring and logical. Of course there is another side of the American road. Its busy urban freeways, those wide rivers of concrete and tarmac with gigantic multilevel junctions. For many it must be an image of hell on earth, like for example the infamous freeways of LA. But for me it has some strange magnetic pull. When I navigate through 12 or 16 lanes of LA or Dallas freeway it gives me some difficult to explain thrill and excitement. It’s completely opposite extreme to the empty roads of, let say, Wyoming. America is land of contrasts. Its emptiest roads are much quieter than anywhere in Europe but its busiest freeways are busier than anywhere else. Driving through some of the junctions is like entering a temple of car culture. One of these places is famous (among the road enthusiast) Texas High Five. It is a five (yes five!) 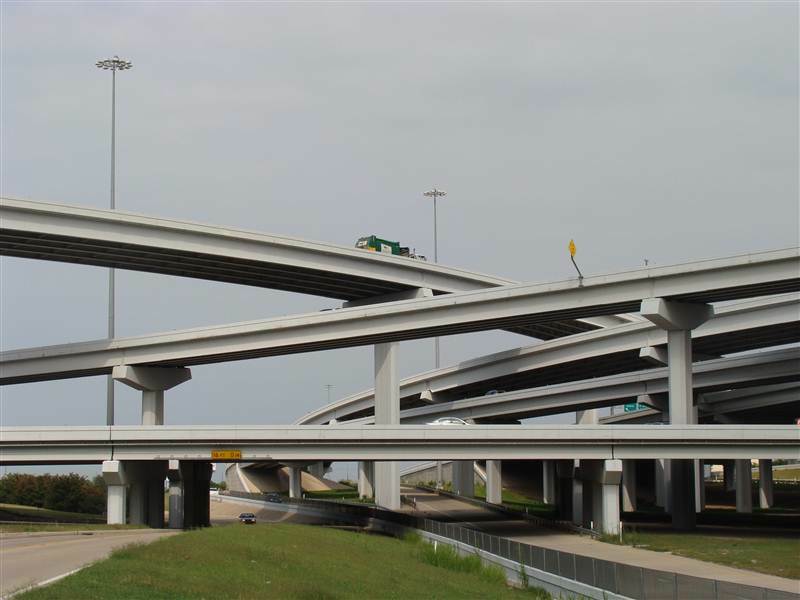 level intersection of the Interstate Hwy 635, US Hwy 75 and some local roads in Dallas. And there are more of similar junctions, especially in Texas and California which are true car heavens. So, if you really want to experience the real, non touristy, side of America you have to drive its highways, eat at the roadside fast food joints, stop for a break at the truck stops and sleep in the roadside motels. For some it might be unethical and environmentally unfriendly, for others boring and uninspiring. But if, like me, you love the smell of petrol and tarmac you will simply love it. 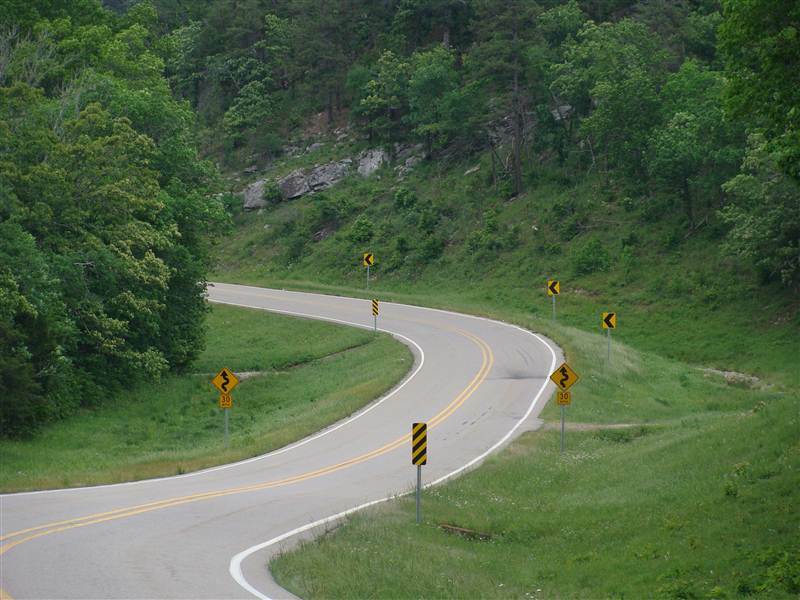 This entry was posted in Uncategorized and tagged Arkansas Highway 7, Big Sur, Blue Ridge Parkway, California Highway 1, Flint Hills Scenic Byway, freeway, great plains, great river road, Gypsum Hills Scenic Byway, Pacific Coast Highway, Peter Norbeck Scenic Byway, road trip, Sand Hills Scenic Bayway, Scenic Byway, state highway, state highways shields, Texas High Five, US Highway, Utah Highway 12 on September 15, 2011 by admin.